Look at this amazing shabby chic piece of yumminess!!! Oh my...be still my heart! Thank you Tonya for this amazing creation and inspiration!!! Hi everyone, I hope you had a great weekend! 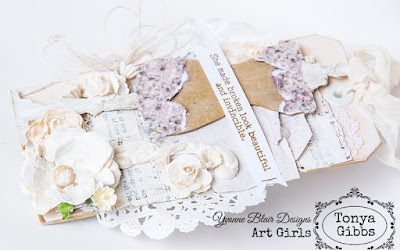 Today I wanted to share with you a beautiful shabby chic tag using the awesome Every Day Quotes stamps from Yvonne. 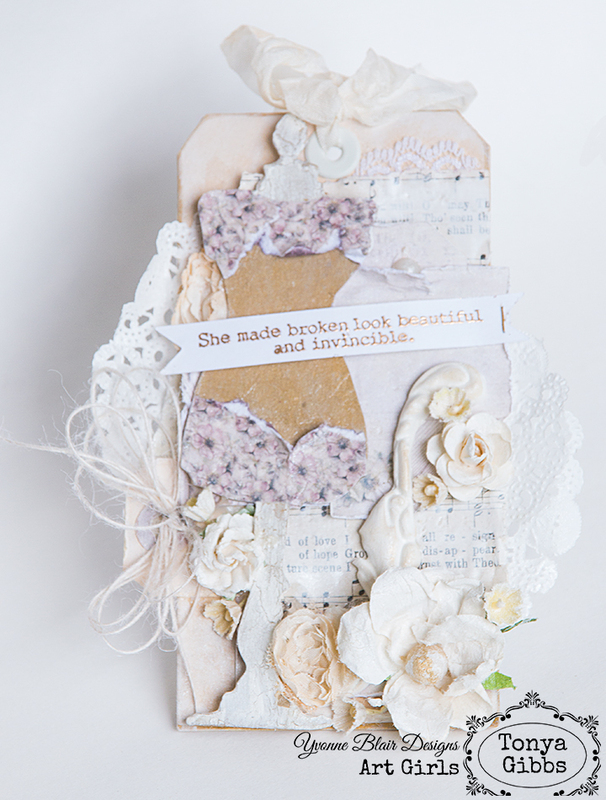 I used the "She Made Broken Look Beautiful and Invincible" from the set in today's project. I wanted all the elements on my tag to be tattered and torn and void of color. Except my dress form. She needed to pop, so I added gold paint. I also wanted her to appear broken so I added Tim Holtz' new Crazing Medium and Crackle Medium. This medium keeps the surface smooth, but crackles the inside. It looks like porcelain. I also "tore" pieces of patterned paper to add as her "armor". 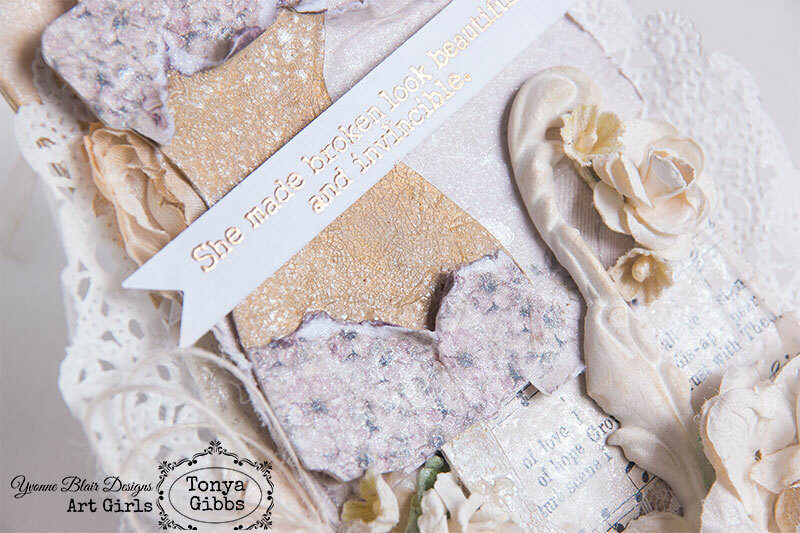 She sits on top of a throne of tattered pieces of paper complete with Hymnal paper. This symbolizes her life. 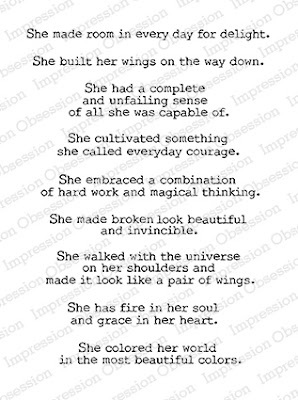 No matter how broken she is inside, or the complexity of her world, so makes it all come together, look beautiful and invincible as long as her foundation is built on God's word. Here is a quick video tutorial sharing how I made the tag. Here is the view of the finished tag. I hope you enjoyed my tag tutorial today, and I have inspired you to create something Shabby and beautiful! This Quote set is amazing and has some great keepers!